Hollywood Studios' nighttime show is called Fantasmic! and it's well worth your time to see, but it can be tricky to make sure you see it without long waits. Today I have tips and tricks to help you avoid long lines, get the best seats and make an easy exit from the show. 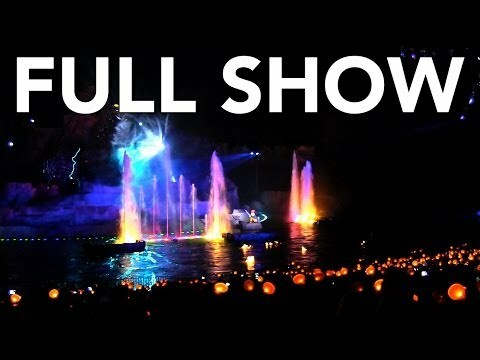 The 26-minute show features lots of Disney characters, projections on water screens, boats, fireworks, water effects and great music. It's a fantastic visual treat, though some little ones may find some of the darker scenes to be scary. You can see the whole show in the video below, including the Glow with the Show ears which you can purchase (they light up as a choreographed part of the production). The show is presented in a huge outdoor theater that seats 11,000 people, but during busy times of the year, people are often lined up an hour or more beforehand to get in. I don't wait an hour for anything and don't suggest you do either, so I have some tips on avoiding that plus ways to get better seats. 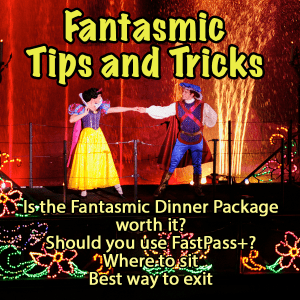 My favorite way to avoid the lines and get great seats is by booking a Fantasmic Dinner Package (FDP). This basically means that you book a package to eat in 1 of the restaurants at Hollywood Studios and at your meal, you're given a voucher to sit in your own reserved section during the show (the exact seats aren't reserved, just the section). The seats are right in the middle and the best sections available. On nights where two Fantasmic shows are scheduled, the FDP is only offered during the first show. One thing I love about the FDP is that it doesn't cost you anymore than eating in the restaurant itself if you're on the Disney Dining Plan. Here's the rundown of the FDP restaurant options. Package includes an all-you-can-eat buffet and seating voucher. Minnie and pals are at dinner. You might wonder why everyone wouldn't just book the FDP but there is at least 1 downside: the meal times can be weird. Like eat-dinner-at-3:00 weird. If you're OK with eating at off-peak times, this will be a good option for you. The FDP is available 180 days beforehand, just like dining reservations, but it's important that you book the package itself and not a normal dining reservation. If you're booking online, you should do that at https://disneyworld.disney.go.com/dining/hollywood-studios/fantasmic-dining-package/. People booking by phone will still use the same number (407-WDW-DINE) but you need to specify the package rather than just the restaurant name. What if you already have a dining reservation at 1 of the restaurants? Sorry, this package is totally separate so you'll have to book a new FDP reservation and cancel your previous dining reservation. Unlike the Dessert parties for Illuminations, Happily Ever After, and Star Wars: A Galactic Spectacular, this experience is a lot more low-key. 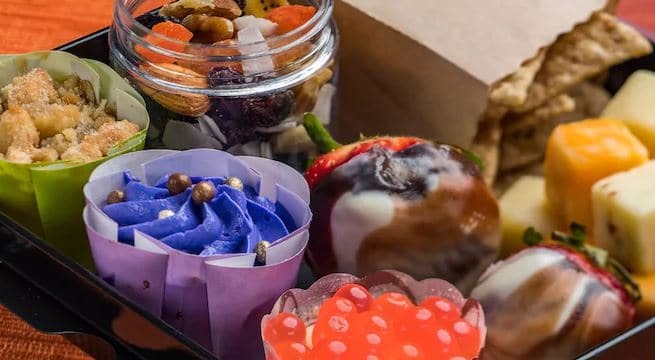 Instead of attending an actual "party", upon arrival to the theater guests that book the Fantasmic Dessert & VIP Viewing Experience receive a box of Fantasmic themed snacks which will feature both savory and sweet items, a bottle of water and a specialty alcoholic or non-alcoholic beverage in a light-up keepsake cup. In addition to the snacks and light-up cup, guests will also receive a special light-up credential that will be their pass into the reserved "VIP" seating area for the show. The cost for this experience is $39 for adults and $19 for kids and it can be booked online. If the Fantasmic Dinner Package doesn't appeal to you, you could always try to get a FastPass+ reservation to see the show. I don't recommend it as 1 of your first 3 FastPass+ reservations, but once your first 3 FP+ reservations have been used or expire, you could use the My Disney Experience app or head to a kiosk and look for a 4th FastPass+ reservation that could be used at the show. Often times there's still availability, even late into the day. The seating for FastPass+ isn't as good as for the FDP, but you will get an assigned section (to the left of the FDP seating area) and get to avoid waiting in long standby lines. The show is often scheduled after the official park closing time. The closing time is really just the time that you need to be in line for an attraction. The park will still be open after that to allow you to take pics, shop, and see Fantasmic. During busier times of year, two shows might be offered. The second one will always be much less crowded but the Fantasmic Dinner Package is only available at the first show. Once in the theater, I would choose seats that are as close to the middle section as possible and at least half way back. Sitting further back will allow you to see the whole show more easily and avoid getting wet (which happens to many people sitting in the first couple of rows). However, people sitting closer to the front can snap better pics of the boats as they float by. Since the theater is outdoors, you can bring food in to eat while you sit. When you enter the Fantasmic seating area, you'll enter via the upper left. 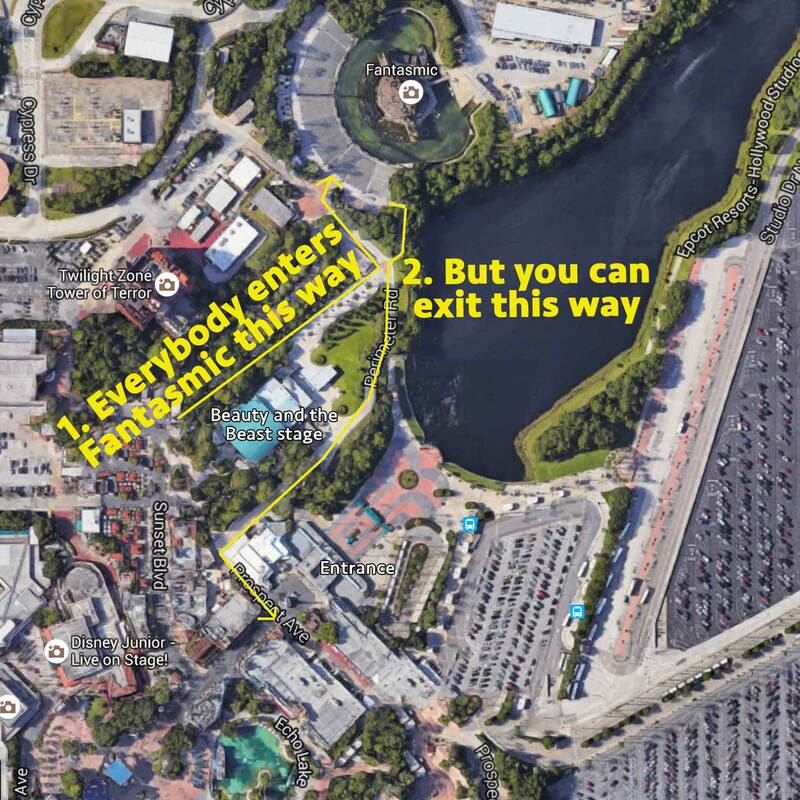 However, if your goal after the show is to exit the park or watch fireworks, I'd suggest exiting to the upper right. That will take you right to the front of the park and allow you to exit easily or give you a great spot to watch fireworks. Hello! Do you happen to know if the music that is played before Fantasmic starts is available for purchase? It is so upbeat and fun. My daughter loves it. Thank you! When do reservations typically open for this package? We are staying on property March 2-9 and would love to try this package in place of a dinning option. We were able to get the Hollywood & Vine package with Lunch. And I think breakfast is also available as part of this package. Dinner was sold out when we tried to get the reservation, but our lunch res definitely includes Fantasmic. Thank you for the seating chart to help us figure out where the FDP seating is . . . but now, where are the seats for the new Fantasmic! Dessert and VIP Viewing Experience? Could the seats be any better than the FDP seats? Is this Dessert package worth trying? Dessert package seating is in the same area as the Fantasmic Dining Package. We did it back in October and really loved the desserts, and those sections are hard to beat for a good view. Would highly suggest it. Hi Shannon. We have booked a fantasmic dining package at Mama Melrose. The Fantasmic show will be at 7:00pm. What time do we need to arrive and get in line? Could we walk in at 6:55pm and still sit in our reserved section? Or do they eventually allow others to sit in the section? Thank you! I was there in February and they did not allow others to sit in the FDP section, but between people with the Dessert Party and the Dining Package it does get pretty full. You won’t have your choice of seats at 6:55 for a 7pm start. IF you have Fantasmic Dining Package reservations, can you order additional food off the menu and pay extra? Now that an appetizer is not included, could we still order one with this type of reservation? Is it that likely to get get a fifth fastpass for Fantasmic by 4:00 in the day, off season like in January or February or should I just use my fourth fast pass on Fantasmic when available at around noon? We have booked the FDP and are eating at Mama Melrose. We are also on the dining plan. Reading the menu it says that an appetizer is included. I have heard from other sources that the dessert is a sampler and that you can not actually choose a dessert. Is this the case? The last time I had a FDP at Mama Melrose was 2015. At that time, you chose a separate dessert. It was not a sampler. What are the typical nights for the Fantasmic show during the fall? Planning a trip for a friend, and trying to figure out what night to plan for them to be at HS, so they can see the show. I know this is speculation on your part, but thought you might have historic records to look back at. I was curious does Fantasmic ever get too crowded that people don’t get in? I’m going on Sunday January 8th and I noticed there was no fast pass available for that any longer. I’m pregnant so don’t care too much how I use my fast passes. Thank you. We have the FDP and are planning on see the Star Wars fire works right after the show. We will be there November 12th (the last day for the fireworks). Where would you suggest standing for the fireworks? And how should we get there from Fantasmic? I tried booking the dinner package but it appears I would also need park passes for the day we do the dinner/show package, is that correct? Yes, you will need park tickets to attend any dining inside the parks. Fantasmic isn’t a show you can see from outside the park, unfortunately. We just followed your map and it was just a path to the bottom of the theatre. Maybe they close off a part that would make it connect to another path? The cast member who was down there told us there is only one exit from Fantasmic. Maybe they only open it in the summer? It varies all the time. Some trips we get to go on that path, and sometimes it leads back to the main Fantasmic entrance. What are you hearing about crowds when Fantasmic and Star wars fireworks are showing at basically the same time? Is Fantasmic less busy as people are choosing the new fireworks show? How is the show during the day? We’ve booked the fantasmic package at Hollywood and Vine for early December and we have a 12:20pm reservation. Does this mean we’ll see the Disney junior characters while there for lunch? Thanks! Yep! It’s kind of a 2-for-1 because you get the characters and Fantasmic seating. So if I book this as a lunch so that my kids can see the characters, we will receive passes for access to these specific seats? I was under the impression this is just a dinner option. We are going to Disneyworld Jan 18-25, 2017. I was able to book 5:00 pm dinner reservations for Brown Derby on Sunday Jan 22, and can see that Fantasmic is at 7:00 pm that night. But I’m unable to book the dinner package. Is this normal? Will the dinner package become available later? Thank you for your input. You have to book the dinner package, not just dinner reservations. That won’t work. Hi, We are scheduled for Hollywood Studios on Saturday, September 17, 2016. The calendar is showing Fantasmic at 8:00 p.m. and Star Wars: A Galactic Spectacular at 8:15 p.m. I would like to see both, but if they are shown around the same time, it seems unlikely. Is this common? It’s not common and this is the first time we’ve seen this kind of a schedule. I think Disney is basically telling people they have to choose as a way of controlling crowds. Hi, I booked the Fantasmic show at the Hollywood and Vine and my confirmation is leading me to believe that I need a meal plan to eat here. Is that the case? Thanks. I’m looking at booking the Minnie Mouse Fantasmic package at Hollywood and Vine once my 180 window comes up in a few weeks. The price is $53.99 each. But I notice the price to book the Minnie character meal at Hollywood and Vine with no Fantasmic package is $46.99. Am I right in thinking, therefore, I’m being charged $7 a person just to have the reserved seat, or is there any difference in the food / dining experience that justifies the increased price? There’s 6 of us, so it feels like we’d pay an extra $42 just for a Fastpass, effectively. When I looked at WDW dining website for H&V dinner the price shows $59.99 NOT $53.99 and the price does NOT change when adding the Fantasmic Package. Also, I would recommend getting the dinner package it beats standing in long lines just to grab a seat and there is no way I’d waste a FP for it. Is that the price it’s showing when you try to make a reservation? On this page (under “Dining with Minnie and Friends at Hollywood & Vine”) it shows $53.99. Yes, that is correct. The same is true at Tusker House for the Jungle Book Package. We had the same issue. I called Disney and talked with a manager. He issued us a fast pass good for the later show. He also offered to contact Hollywood and Vine, if we wanted to eat earlier and attend the first show. We booked a Fantasmic Dining Package for lunch on Dec 6th expecting the 830pm Fantasmic show. Now that they’ve added a new Fantasmic at 7pm does that mean our voucher would now be for the 7pm show and not the original 830pm? We booked the Famtasmic Dinner Package at Momma Melrose’s for the 8:30 show on 12/6. My question is that the show starts at 8:30 but the park closes at 8:00. We are not staying on site, so we can’t take advantage of the EMH, but are still good for the show right? How early should we arrive to Fantasmic? We’ll be dining at H&V with Minnie at 4:45 and the show is set to start at 7. I was hoping to squeeze in a ride between but I’ve read some people saying we should arrive an hour early. I have a 2 and 4 year old and I’m worried they won’t be patient during such a long wait. LOVE your site and would like your advice. We have Fantasmic dinner package reserved seats for Dec 30. Planning our exit, does it make sense to leave our 2 strollers at a location on the way out of the park rather than right outside the theater with all of the other strollers? If yes, where do you suggest we leave them? Thank you for your help. Do you know when the dinner package will be open for March? You can book through February, but there is no March availability up yet. Hi 🙂 so if you book the dinner are you guaranteed a spot at the show? Yep! And in the best section. How early do you need to arrive to fantasmic if you booked a dinner package? Show starts at 9:00, and we have the package. Hi. I have a question about Fantasmic and dinner reservations. My family is going in October and the Fantasmic viewing is at 730p. I have Cape May dinner reservations at 855p. Do you think this is doable? How long does it take to exit the theater and get to Beach Club? Thanks! I have been trying to make Fantasmic dining reservations for Mama Melrose on January 18th, no luck. Tried at 6am yesterday (Exactly 180 days), and again at midnight for the 19th. Sometimes it give tells me no tables are available, sometimes it tells me there was a error searching and to try again later. Called the Disney reservation line, they told me the same thing, there was no tables available and to try again later. I also tried Hollywood and vine, and Brown Derby, got the same results for all three. I checked through October and it found tables, but as soon as you start looking into November no tables for any of them. I’m wondering if the system is glitchy and not offering tables the full 180 days in advance like it says they do. This is because Disney Resort Guests can make reservations earlier than non resort guests. BUT..if you check the day of your visit there may be cancellations. We have had the same problem. Good Luck! I’m interested in booking the Hollywood & Vine Fantasmic Dinner package but want confirmation that it will be a character dining experience as well. I found mixed information on different sites. Do you know? Only breakfast and lunch are character dining experiences at H&V, but you can book lunch with the Fantasmic package. There have been issues w/many Fantasmic restaurants. They aren’t sold out; they just haven’t really ever opened them up fully. I think they should open up more spots there soon. Shannon, we’ve booked our dining reservations from Dec. 19-29 on June 22 at 6:am. We love Mamá Melrose Ristorante, but they aren’t able to reserve anything there throughout our stay. Is there a way you can find out for us if there’s any other way we can reserve a lunch or dinner there? There have been some issues with some restaurants in December and Fantasmic packages. I suspect Disney will release more of them in the near future. Yes, pricing is available on the site. I see that H&V has lunch options now too. Is that character dining + Fantasmic? I have made my reservations for all of my dining except for one that includes the FDR at Mama Melrose on Dec.11. Do they open available tables for a specified length in advance? I can book all the way up to Dec.10 with No problem. Any day. But not Dec 11. My only conclusion is that they haven’t opened reservations past Dec.10 yet. Has anyone else had this issue? Hope this makes sense. 180 days from today is December 13. They should have the Fantasmic packages open through then. Weird that they don’t. Hmmm. Seems they do for all restaurants except Mama Melrose. Just one of those I will have to check on daily. I am having issues with booking mama Melrose for fantsmic during me week stay in December 15-22. Does not matter what day (even the 22-which I cannot believe is booked out already) or time there are no reservations available. I am having issue with Liberty Tree Tavern too, same thing, no matter what time or day nothing is available and this is for lunch. They are doing reservations that are set to complete by Nov. 20, but I cannot book after that. Hi there – has anyone tried The Brown Derby as part of the Fantasmic dinner package? Yummy? Not so much? We are going to be there the 5th-8th of December, with the 6th being our DHS day. We really wanted to try 50’s Prime Time and the Sci-Fi, but if it is better to do the dinner package to see the show, then I guess we will do that 🙁 – unless it’s not a busy time of year and we can snag good seats regardless? Hello! I was wondering if we have the deluxe dining plan, will we still get an appetizer at mama melroses as part of the FDP? Thank you, your site has been so helpful! I was wondering the same thing. Any luck with an answer? You do now! They took it away but it just got added back. This is a great website – lots of information without having to read blogs that seem longer than War & Peace! We are planning our first WDW trip having done DL and DCA several times. At DL we always arrive at the 2nd fantasmic show right after fireworks (usually arriving 10-15 minutes before show time). We watch the show and about 1 minute before it ends – walk right onto pirates (then walk on splash, mansion, WTP, etc in the area) I assume in WDW we will watch and leave – or maybe try for TOT which is nearby. They just started fastpasses for fantasmic in DL – and I have never found a need for one or to arrive way early (at least for the second show) but in my experience the fastpasses for shows are on a separate system. For example we grab a fastpass for world of color and then can immediately get one for radiator springs because rides and shows are on different systems. I guess this is not the case for fastpass +? I only ask because for shows, a fastpass is not really any faster – it just reserves you a spot. Hi! Thanks for all your wonderful information! How early do you have to show up prior to Fantasmic if you have a Fastpass? Thanks! My confirmation for Hollywood and vine lunch says “no disney dining plans accepted”… Is this true? I am also experiencing this and I would like it cleared up ASAP. If I can’t use the dining plan I will have to switch reservations and I want to do so before nothing is left! I hope this is still a DDP deal. :/ May call tomorrow and find out. So, I went back to my previous FDP reservation confirmation email that I made on 2/3/15 for the 4:40 dinner at H&V. It said that the DDP was accepted. I am really kicking myself for cancelling that reservation before I made the new one! I saw on the Disney site that it said the FDP was available for lunch & dinner, so I thought it would be okay to book the lunch. When I confirmed online it said “Select Dining Plans not accepted.” But when I got the confirm email it says that H&V doesn’t participate in dining plans. I tried to call the 407-W-DINE # last night but there was a wait so I emailed guest services instead. I’ll update when I get a response. I hope it’s an error! I made another H&V FDP reservation for 4:30 PM and it says that dining plans ARE accepted…. I did just call and speak to someone at the dining #. She repeatedly assured me that H&V for FDP was 1 TS credit per person for dinner and lunch starting at 11:00 AM. She didn’t know why it would say otherwise, but told me several times that she 100% guaranteed that my dining plan would be accepted. I asked if she could give me give me an email confirming this, and she said no, but mentioned she has been working there for many years and knows it to be true. I asked her if she could let someone know that it’s coming up like this so it could be looked into and she said she was typing that up as we spoke. I also mentioned to her that in parentheses next to my 1:30 reservation it says (Special) and she said that doesn’t matter, all dining plans except quick service are accepted. That’s all I found out. I’m going to keep both reservations for right now until I’m certain they’ll take the DDP for lunch. I agree with the Cast Member – the DDP is accepted for lunch. It’s a relatively new offering so I think Disney just hasn’t straightened out their materials to reflect that you can book FDP for lunch and that the DDP can be used for it. I’ve booked the Fantasmic Dinner Package for our family of 5 but we’re not big eaters. Judging by the comments, the meals are more than we would be able to handle. Is it possible to still pay for all 5 but split 3 of the meals and have the other 2 unused meals packed to go? I don’t see the point of over-eating just to get my money’s worth. I just booked the Fantasmic Dining Package for lunch at Hollywood and Vine but I’m not sure I did it right. I have a family of 5 but 2 of them are under 3 yrs old. Should I reduce my reservation to 3 so I don’t have to pay 19.99 for them? When you created your reservation, it asked you who was going to be there, right? If you selected the names of your family members from your list, the system knows how old they are. Everybody needs to be on the reservation so you did it correctly. Love this article!! What about if there are extra magic hours that day? We are going this October and it says there are 2 PM extra magic hours that day. Do these start once Fantasmic is over? Your podcast and site and Pinterest and FB are SO INCREDIBLY FANTASMIC (had to throw that in there since this is a Fantasmic question). Seriously–your podcast and site have virtually planned my trip for me. Thank you! My question is about Mama Melrose dining (4:20 res) and Fantasmic first showing. Assuming dinner only takes an hour or so or two at the most…we would be done by 6:20 with hours until the show. I assume you can still roam the park and tour before seating for Fantasmic, right? I can’t imagine sitting in the theater waiting for hours. Am I crazy to ask that? Just wondering whether we’ll be captive or free between dinner and the show! Thanks. Once you’re done w/dinner, you can do whatever you’d like until Fantasmic starts. You’ll just leave the restaurant after you’re finished and then show up to the Fantasmic theater about 30 minutes or so before Fantasmic begins. I am not on the DDP. We will be paying out of pocket. I want to make sure I understand the package. The package is a flat rate fee of $37.99 per adult and $12.99 per adult at Mama’s. Is that correct? If so, then it appears that it would be cheaper for me to just schedule a regular reservation and pay menu prices and try to catch good seats or get a fast past for the show. We don’t normally order desert. Even if we did, looking at the menus at WDW.com it appears that our meal would be less than $30 for myself, DD-14, and DS-13 and less than $11 for DS-9 including tax. Or am I able to book the ADR and just pay menu prices? If you are already wanting to eat a character meal at Hollywood and Vine can you combine that meal with the Fantasmic package? I am under the assumption that the characters are at lunch and not dinner, is that correct? Thanks! According to Disney website, the Hollywood & Vine Fantasmic package is only available for dinner. I too tried to do the same thing. Unfortunately it’s not possible. My husband is an amputee and has a scooter for the week. Can I still do Fast Pass, or is there a special section for scooters? If it is raining and the Fantasmic show is the abbreviated version, DO NOT GO! We sat in rain and the show was music with no characters. What a waste of time. Ask the CM at the entrance if the planned show is the abbreviated one. Totally excited landed a dinner time of 6pm for my Fantasmic Dining [email protected] Hollywood & Vine 60 days before Spring Break yes its definitely possible to get a great dinner time ppl!!! When I called about the Fantasmic package, they said it will require 2 DDP credits. Just wanted to let you know. It should only be 1 credit for Mama Melrose and Hollywood & Vine, 2 credits for Brown Derby. I would highly recommend the Fantasmic dinner package to anyone visiting DHS. Like any other dining reservation, try to book this early in order to snag a good time – we were able to get a 4:30 reservation at Mama Melrose’s when they were only taking them up to 5:00pm. 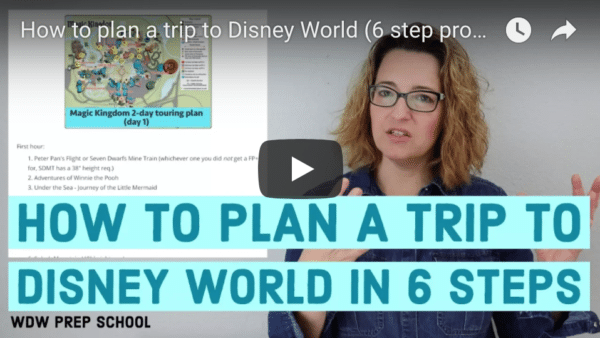 We were in WDW from late August to early September, and our first day at DHA was the only day of our 10-day trip where the rain was unbearable – the skies just ripped open and we found ourselves trudging through ankle-deep puddles while. We were already running a few minutes late, and once you added in the rain and the crowds, we weren’t seated until 5:00, which is when we typically eat. The portions for the dinner package are HUGE, so this makes the meal a great value if you’re using the Dining Plan. It includes an appetizer, entree, and a HUGE shared dessert platter – a real bonus, as apps aren’t otherwise included on the DP. The rain ultimately necessitated the cancelation of the earlier Fantasmic showing, and our server stressed that we could use our vouchers for another showing within the next 5 days. But the rain cleared around 8:30, so by the time the Frozen fireworks finished, the crowds had greatly thinned. I’ve NEVER seen Fantasmic this empty. Out of all the sections, only the center two “reserved” sections were about 2/3 filled, with only about 50 stragglers dotting the other sections. What a relief not to face the mass exodus after the show! We were able to use our vouchers two days later for the earlier showing. One note: I would NOT schedule the Fantasmic Dinner Package on the same night as a the Frozen VIP package. Mama Melrose’s dinner package is a LOT of food. Again, it’s an appetizer PER PERSON, a large entree, and a lot of dessert. I was stuffed to the point of nausea by the time we left at 6:45 (the service was abysmally show…. we actually missed our reserved seating for the sing-a-long!) and the pre-fireworks Frozen Dessert Party began at 8:15. The desserts offered were so delicious that I wish I had more room left in my stomach! Thank you for the notes about the fantasmic show. I booked it several days ago for our family of 12 going to disneyworld the beginning of Feb. The dinner package seemed like a good idea to have the whole family eat at least 1 dinner together ,and then be able to have good seats for the show. You are right about the early eating times. We have a 3:30 dinner but will use it as a late lunch /early dinner. The show is at 6pm. as Hollywood studios is only open till 7pm. at that time of year. Hi Shannon ~ your tips are great! When you mention the part about exiting Fantasmic to the upper right to leave the park, are you facing the stage or facing the exits? Facing the stage. It’ll be easy to figure out when you’re there because it’s the opposite side from where you enter. Shannon, are there special sections for someone on a scooter? My husband is an amputee and will be on a scooter. We would book our reservation at Mama Melrose’s and go to the show from there. There will be special seating available for people who use scooters. He can either park his scooter and transfer to a seat or there will be parking at the top of the section for him to use and remain in his scooter. O.K. thanks Shannon. Your web site is fantastic and so helpful. Will we be able to get seats without fast pass and without the dinner pass? Neither are options for us and we are less than a month away. Didn’t realize it was such a big thing! Yes! You’ll just need to get in line earlier. We’re going on November 13th. Do you think it will be busy enough then to even warrant a FDP or a Fastpass+? I think the park crowd level is expected to be pretty low that day. Last year when we went, we only went during the day and didn’t come back at night. I know it didn’t seem very packed during the day, so I’m wondering how much we have to worry about finding a good seat. That’s such a good time to be there so you shouldn’t have any issues getting in. Thanks Shannon! This was exactly what I have been wondering about! We have a FDP reservation for Mama Melrose at 1:40pm the day we are visiting DHS. So glad we will be able to use TSCs. I was also wondering if Tower of Terror or Rock ‘n’ Roller Coaster would be open after the show? We are touring on a day the park closes at 7pm and Fantasmic starts at 7:30pm. Would we be able to squeeze one last ride in after the show? No, you won’t. You have to be in line by 7 to ride it. I would show up 20-30 minutes beforehand. I was told that you can’t use the dining plan credits for the Fantasmic dinner package. Which is right? We have the deluxe plan. I would rather use the credits for this than use them for a couple of quick lunches. Also, we are going in December and the calendar is grayed out. We can’t even pick a date to see that there is no availability. We called and were able to get 2:00 ‘dinner’ reservations, but couldn’t do it on-line. I don’t understand that the only days in Nov and Dec that you can book on-line are Thanksgiving and Christmas. You can use DDP credits. Not sure why the WDW site’s not showing availability unless things are just booked up. I am so pleased to read this article thats exactly what I thought when we booked our ADR and yes we are eating at 3.45pm but who cares I’m planning on that day being relaxed and enjoying snacks instead of quick service meals. What fireworks would you watch. I didn’t think Hollywood studios had fireworks? They have fireworks for special events like Star Wars Weekends, Frozen Fun (which started this summer and is currently only scheduled through September 28, but might go longer) and there was a Villains Unleashed party on August 23 that had fireworks as well. Just added a note to the post to clarify because I bet others were thinking the same thing. I am loving reading all these comments on the FDP option. This is on my list of things to book for our May 2015! I am also curious about the Star Wars fireworks shows because we will be attending one of the SWW’s. When do they usually announce/release those details? I’m trying to keep a timeline so I can be ready for whatever special events they may plan. My kiddos are HUGE SW’s fans! We just did the dinner package at Mama Melrose and we got an appetizer, entrée, and a dessert for my husband and I to share. I highly recommend this restaurant as it was a great deal. I have read that some people have been able to do that but I’m not sure if they always allow it. Doesn’t hurt to try for sure. I’ll add a note to the article about it. So you got 1 entree, 1 appetizer and 1 dessert and shared it? Or you both got entrees and appetizers, but then split a dessert? Our server told as as part of or Fantasmic Dining Package we would each get an appetizer and an entree then we would get a chef’s special dessert to share.